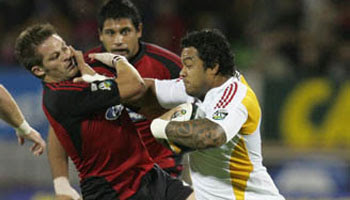 Sione Lauaki runs into All Black & Crusaders skipper Richie McCaw. Listen to how surprised the commentator is when he realizes that it's the All Black Captain who just got shrugged off by Lauaki's huge hand off. best player in the world! my arse. take a seat Mr Mccaw! u wont see this very often so make the most kids...! McCaw IS the best player in the world. Easy. 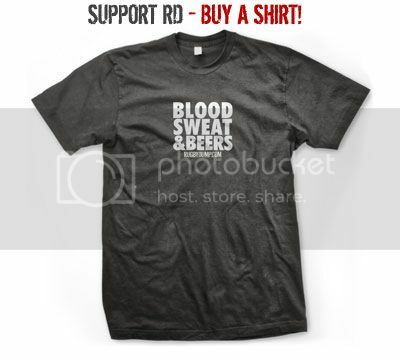 And Im no fan of the red and blacks either. Whose better than him???? BOD is a whinging softy. DC is pretty gud but McCaw is hard as nails and twice as sharp. McCaw is retarded! Burger is a far superior openside! BOD is not a whinging softy. How dare you. mccaw is good but burger is a monster! Nyanga and Burger are the best Openside Flankers, McCaw is good, but not as good as them. "hes a dirty player in my eyes"
which flankers arent dirty players? yeah! love it! can watch this all day! Lauaki do the damage!!! Martyn Williams wouldn't make most international sides I hate to say it. Only Welsh supporters think he's a legend, not many else. Besides that, great handoff here by Lauaki! Take that Richie. all you retards saying burger is better than mccaw...... burger is a BLINDESIDE and mccaw is a OPEN SIDE. completley different specifcations. but apart from all that he'll take advantage of any mistake, very often creating a try. not the biggest flanker in the world compared to guys like McCaw and Burger. i'd still rate him very highly. I certainly wouldn't fear Williams on the opposing team lets put it that way. I know he's the darling of welsh rugby and all, but I just don't see it. He did play well for the Baa Baa's against the Boks that's for sure, but if we were to name a top 10 best list of guys in his position around the world, I doubt he'd be in the top half in all honesty. BUT that's coming from someone in the southern hemisphere. Maybe you guys up north disagree. Anyway no disrespect to the guy. He's performed well for wales and has achieved a lot, so good on him. I certainly wouldn't fear Williams on the opposing team lets put it that way." Later seen picking up the pieces of his broken body then going to the changing rooms to change his brown stained pants after ending up 1 on 1 with Williams! lol Williams is a little guy. The only thing I would fear is him stealing some good ball at the break down situation. He's certainly not a physical threat. What's all this guff about Nyanga? he's been dropped by France. He's nowhere near the best openside in the world. People must be influenced by the fact that he's so good in Rugby 08, but believe me the ratings in that game are not only outdated but also wonky. you wouldn't see Martyn Williams being handed off like that, how can you say Williams isn't one of the best flankers in the world because hes easily the best flanker in the northern hemisphere..... its easy to play well and to lead a team when the team is made up of some of the best players in the world e.g Dan Carter.